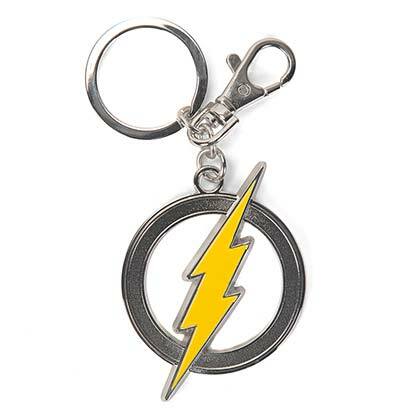 Officially licensed Flash keychain. Made of metal and features a hollow "Flash" logo. Measures 2 inches in diameter.